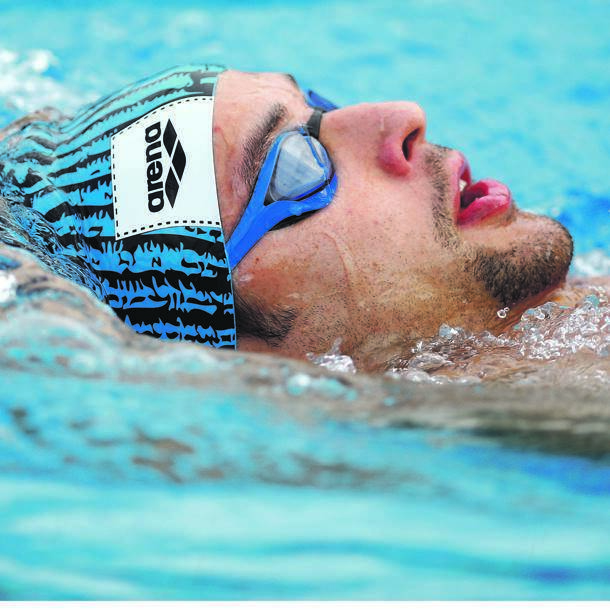 The SA National Aquatic Championships successfully concluded on Friday night with nine athletes clocking 12 International Swimming Federation (Fina) qualification times and seven para-swimmers posting 14 World Para Swimming qualifying times during the five-day competition at the Kings Park Aquatics Centre in Durban. Brad Tandy raced to a Fina qualification time of 21.92 seconds in the 50m freestyle, but could not better that time in the finals, touching the wall 22.25 seconds ahead of Douglas Erasmus’ 22.55 and Ryan Coetzee’s 22.60. Erin Gallagher won the women’s 50m freestyle, clocking 25.14 seconds, just 0.10 seconds over the Fina requirement of 25.04, with Emma Cheliin at 25.38. Olivia Nel and Tayla Lovemore shared the bronze medal with a time of 26.01. Rebecca Meder added to her gold medal tally, this time in the 200m individual medley in 2:14.44, ahead of Marlies Ross in 2:18.44 and Christin Mundell in 2:21.01. The top man was Eben Vorster in 2:02.71, then Neil Fair in 2:04.23 and Louw Oberholzer in 2:04.82. In the long-distance 1 500m freestyle, Abi Meder, Hannah Robertson and Kate Beavon made up the medal podium in 17:15.59, 17:19.21 and 17:23.08, respectively. In the men’s 800m freestyle, the gold, silver and bronze medals went to Josh Dannhauser, Brent Szurdoki and Botswana’s James Freeman in 8:03.06, 8:04.94 and 8:07.67, respectively. Rebecca Meder, Gallagher, Erasmus and Matthew Bosch were also a part of KwaZulu-Natal’s mixed 4x100m freestyle relay gold winning team in 3:36.38, as Bosch, alongside Ryan Coetzee, Martin Binedell and Bailey Musgrave, won the 4x100m medley relay in 3:43.54 and Tshwane’s Nathania van Niekerk, Tatjana Schoenmaker, Samantha Labuschagne and Dune Coetzee scooped the women’s relay gold in 4:09.77. Franco Smit clocked his third World Para Swimming Championship qualification time in the 100m freestyle with a time of 56.39 seconds and also won the 50m backstroke in 29.83; Paralympian Alani Ferreira won her respective 100m freestyle in 1:08.46.